Marvel at uninterrupted 360˚ views of the city’s most spectacular sights. 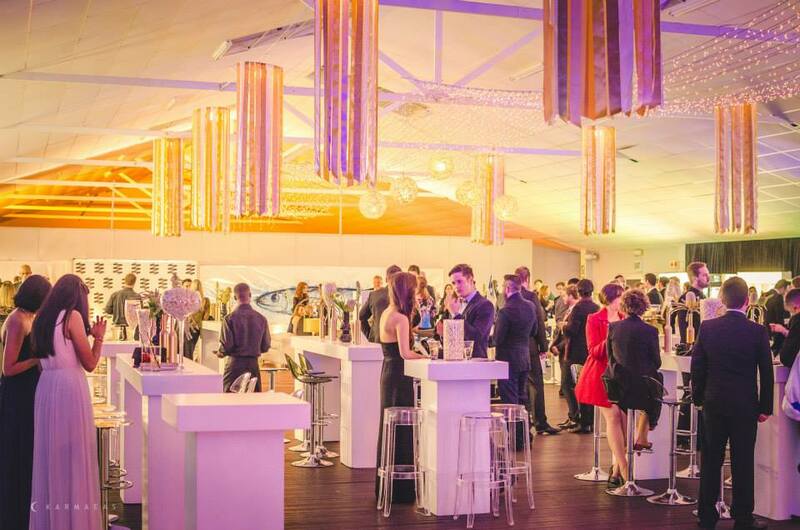 Located in the renowned V&A Waterfront, The Lookout is the ultimate distinctive, contemporary setting for your function or event. The Lookout’s unique selling point is the magnificent outlook from the terraces of the glass-sided venue, of iconic landmarks including Cape Town Stadium, Table Bay, Lion’s Head and of course, the magnificent Table Mountain. Be it day or night-time, it’s the breath taking vistas of the ocean, mountains and city surrounding it, which ensures that this venue is beyond compare. This versatile venue is ideal for local, national and international functions and events. The space can cater for corporate AGM’s, brand or product launches along with conferences and cocktail parties. The Lookout venue can also be set-up for events, exhibitions, festivals, fashion shows, an intimate wedding or celebration of your choice. The Lookout’s solid glass-sided venue measures 20m x 60m. The interior space offers capacity for 800 seated, 1000 standing, and larger events can be accommodated using a variety of options and extended configurations. Flexibility: this space is totally adaptable and can be adjusted based on your purpose, needs and the required scope and size. Accessibility: functionality can be tailored, and add- ons attached to the surrounding space. Potential: achieve the scale you require, by merging ex- and interior spaces, integrating in- and outdoor seating, and taking advantage of the structural enhancements available. Brand neutrality: use the blank canvass to fit the space to the style and tone of your event, be it formal, casual, or themed to day or night. Convenience and peace of mind: the centrality and ease of access is a major asset, as are the reassuring safety and security measures in place. *Favourable logistics: there is ample secure parking at Granger Bay garage and in the underground parking at Breakwater. Permanent toilets are on site. Organisational support: Chattels, with their expert team of event co-ordinators, is available to design and deliver packaged infrastructure solutions according to your requirements. The Lookout venue has a comprehensive list of preferred suppliers that know the venue inside out and can work with you and your team to create an event to remember. Oriflame Cape Town 2014- Welcome event at The LookOut. Video of Oriflame Cape Town 2014- Welcome event at The LookOut.